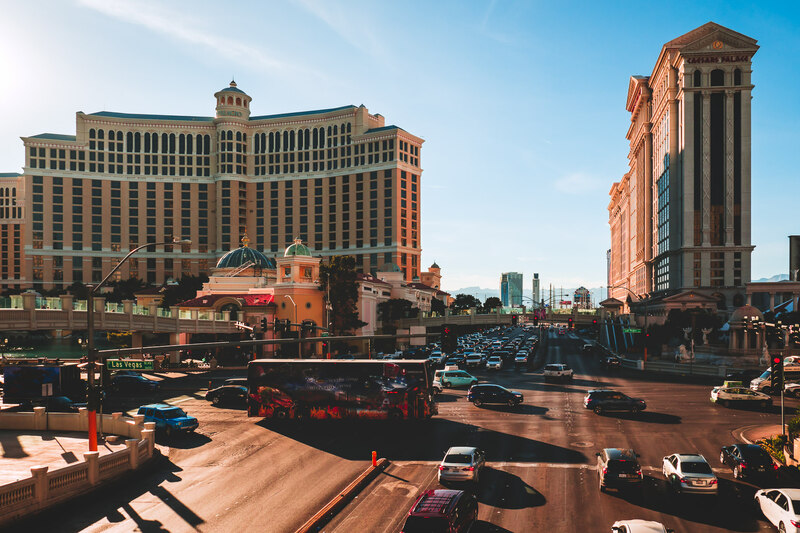 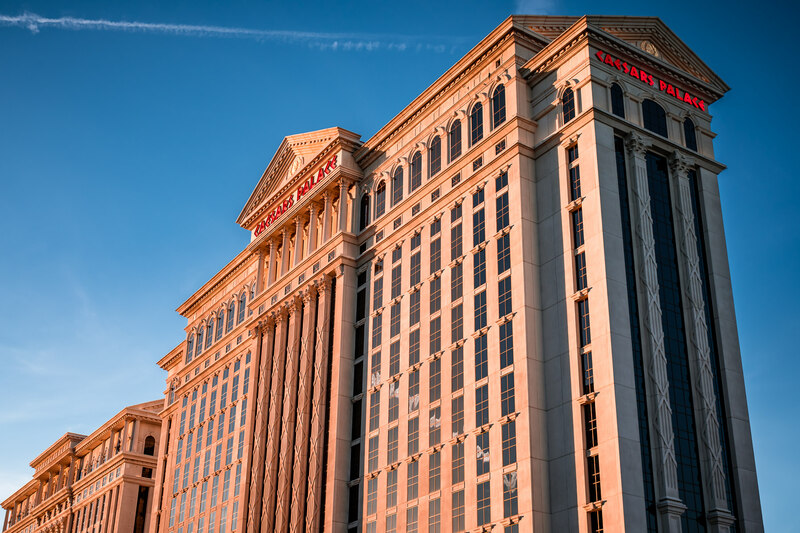 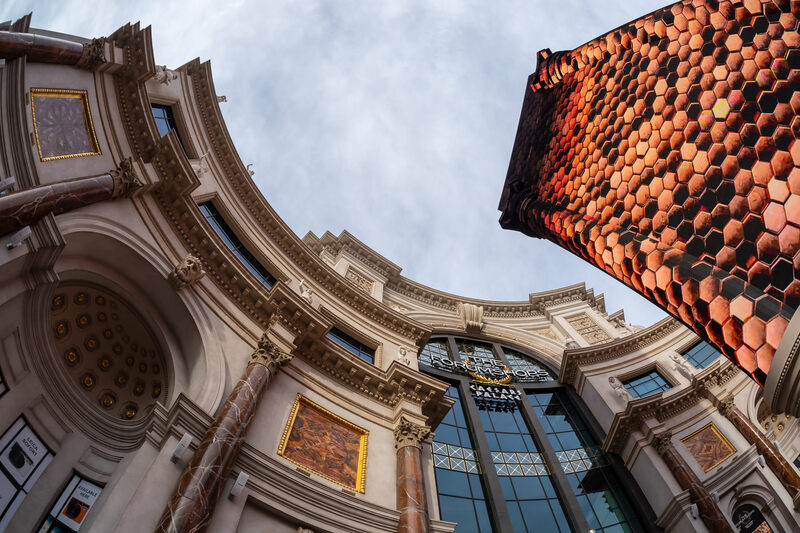 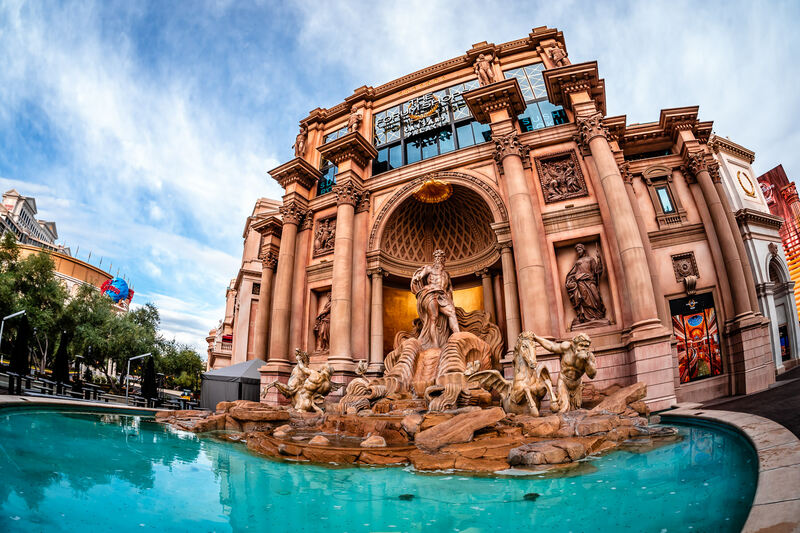 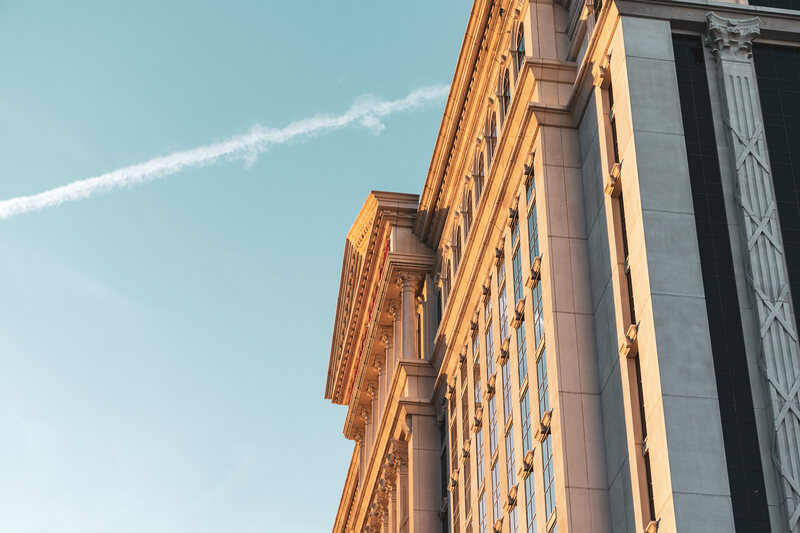 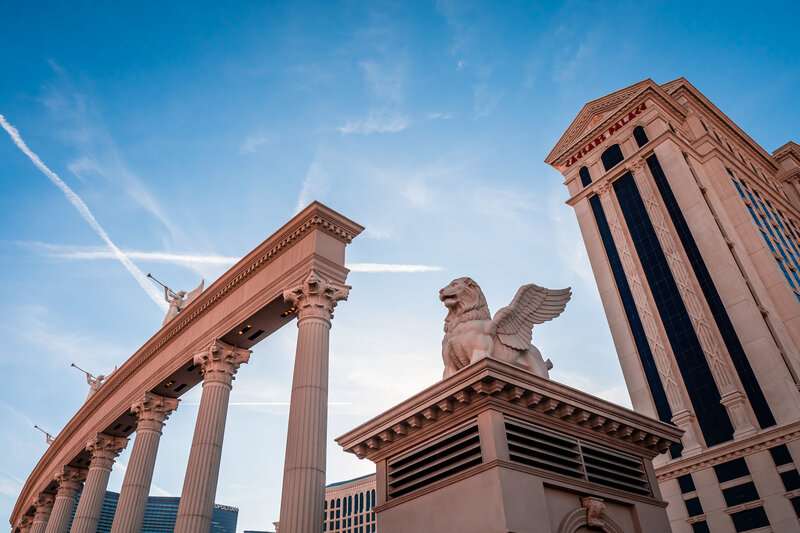 The façade of Caesars Palace’s Augustus Tower shines in the early-evening Las Vegas sun. 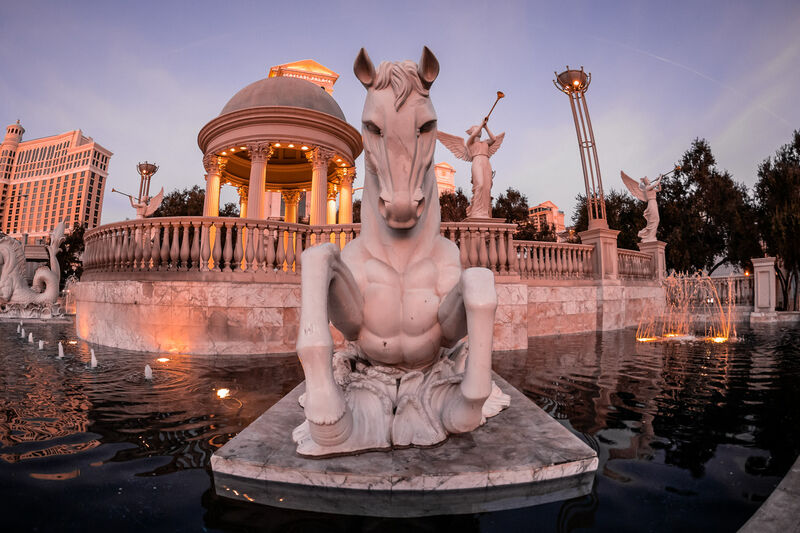 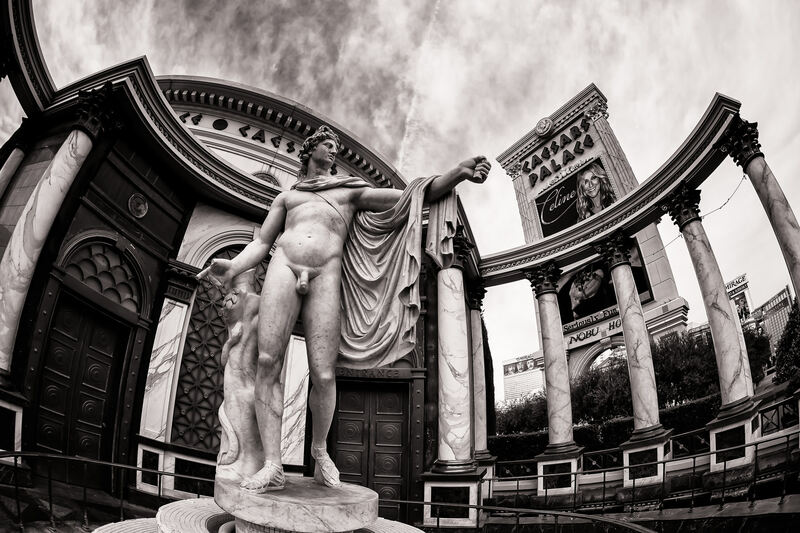 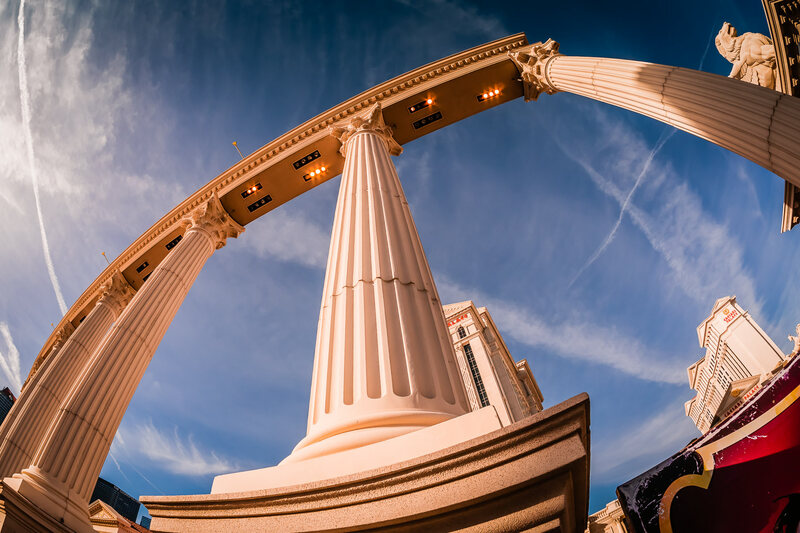 A classical statue outside of Caesars Palace, Las Vegas. 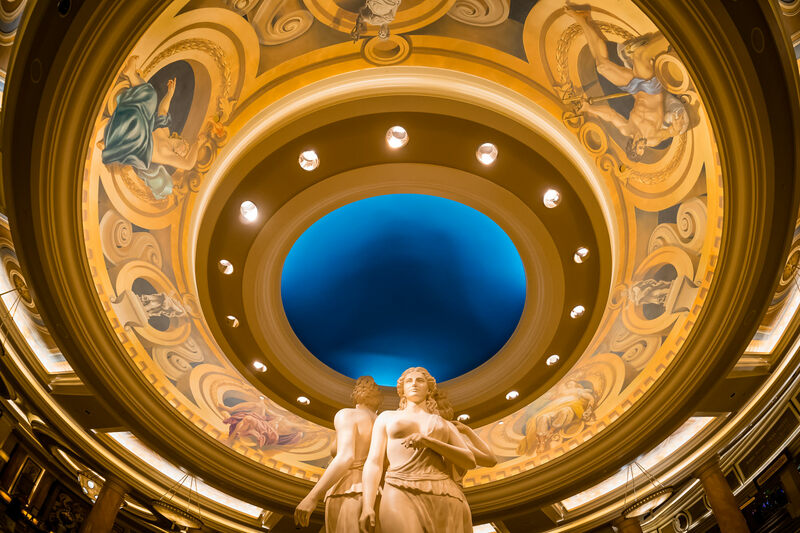 Statues under an ornate ceiling in the lobby of Caesars Palace, Las Vegas.